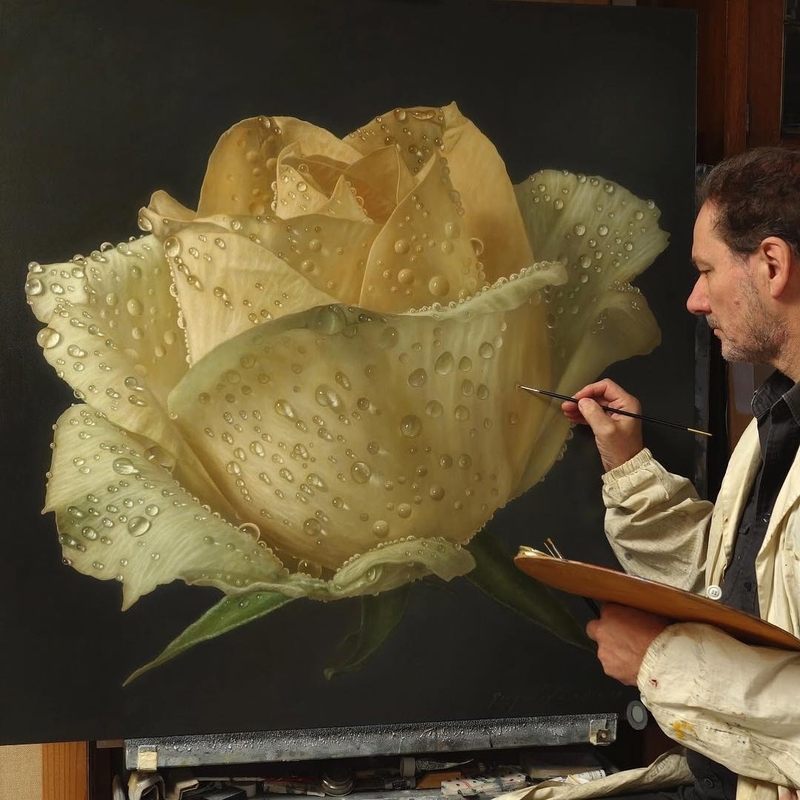 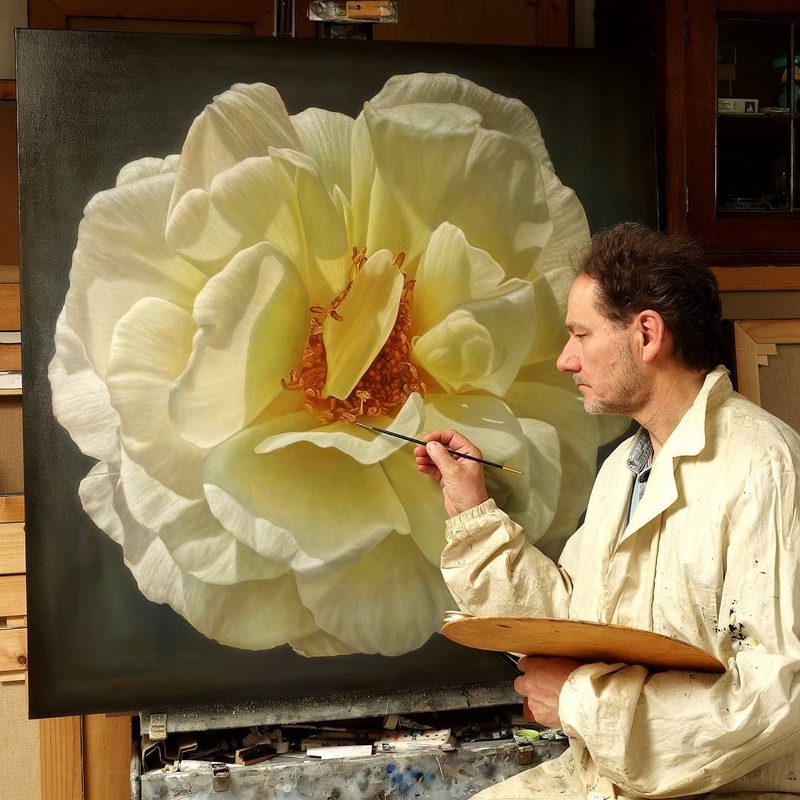 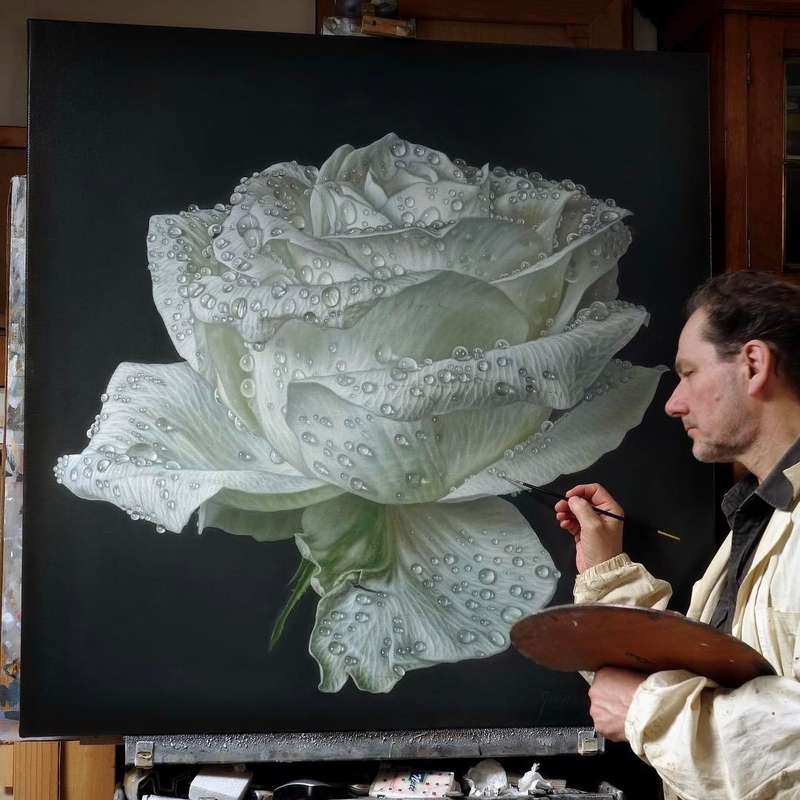 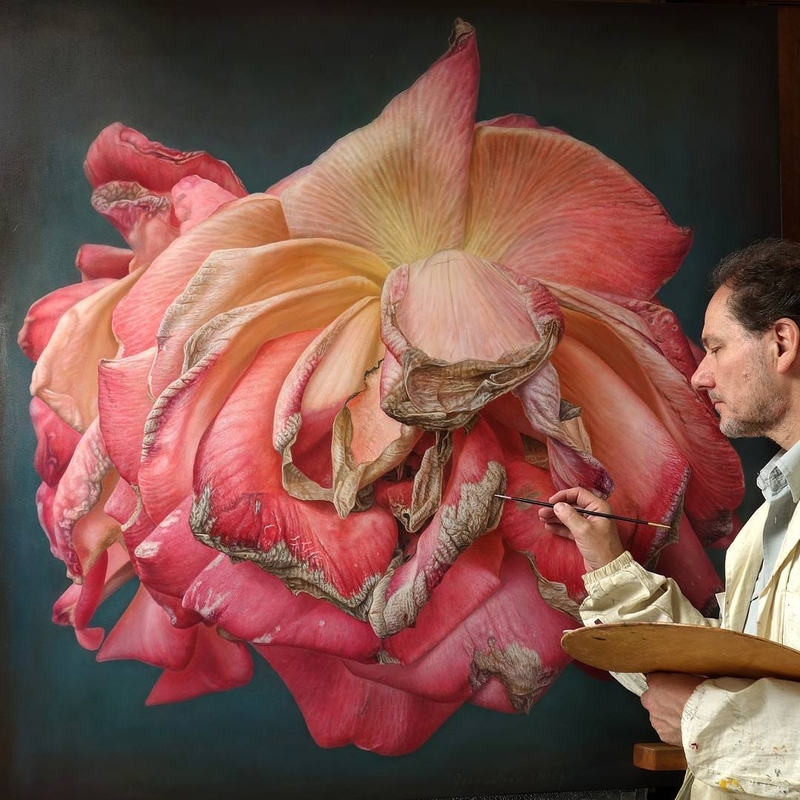 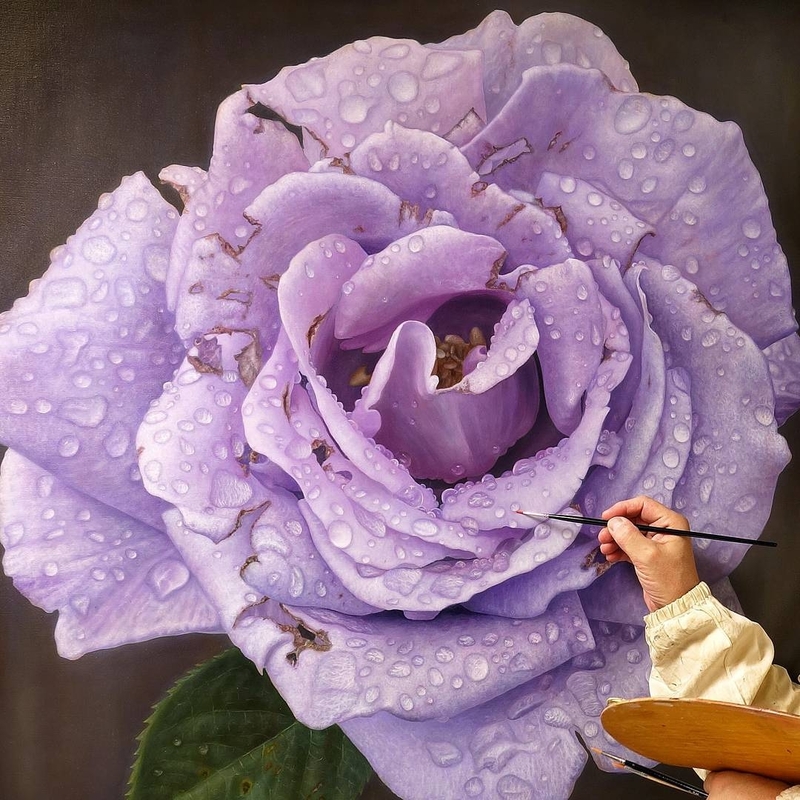 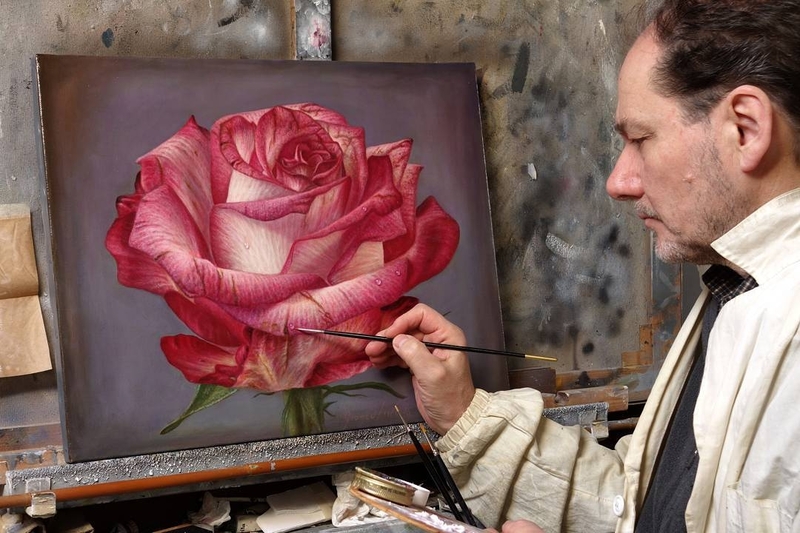 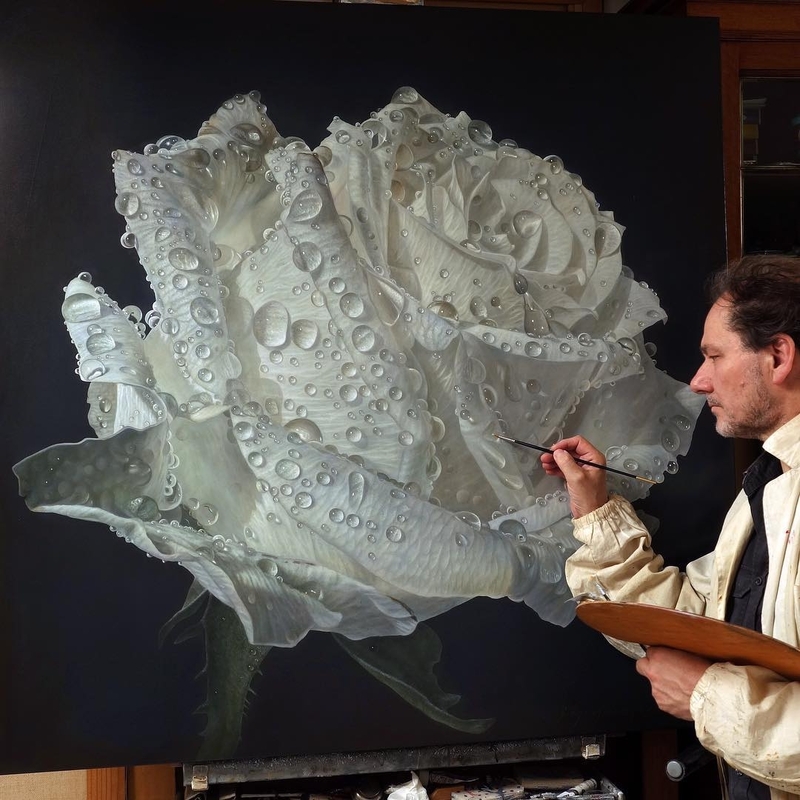 Realistic paintings of flowers, that make you think you are looking at a photograph of the real thing. 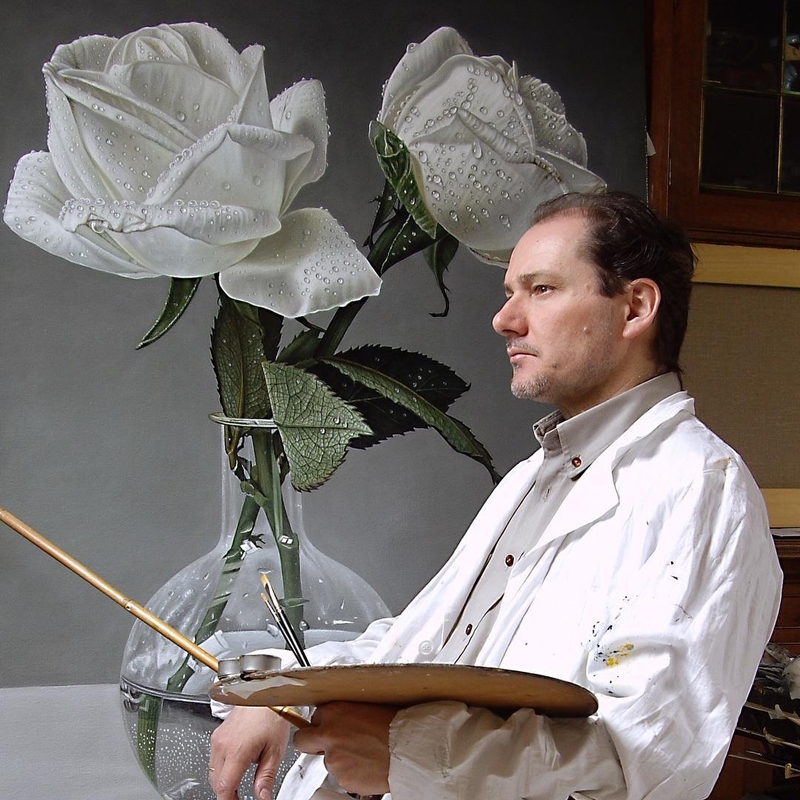 Gioacchino Passini is a Painter & Violinist from Bologna Italy. 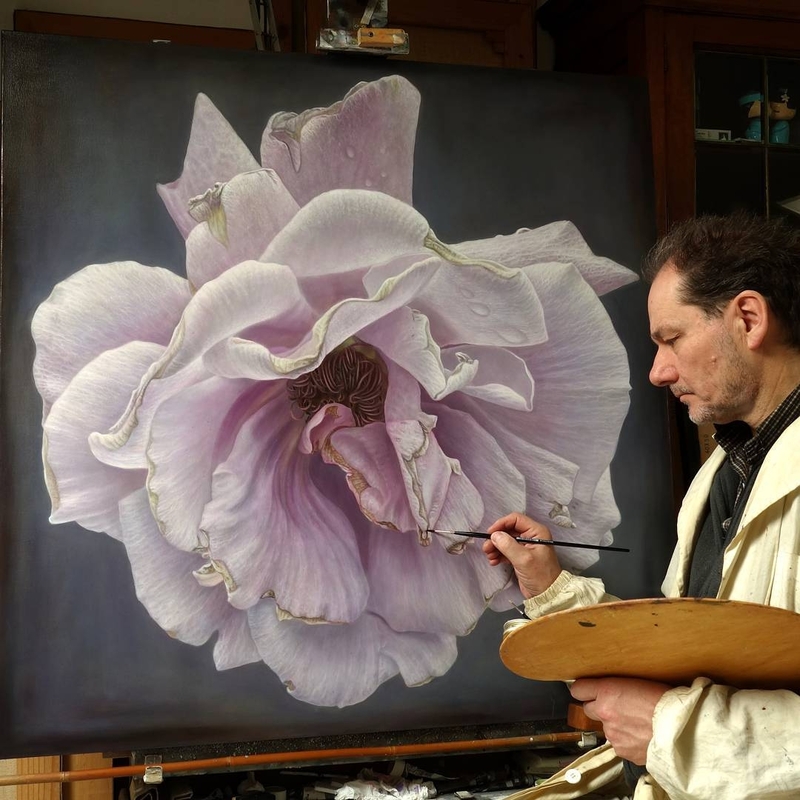 He has been working on both of his passions, but the one I am going to focus on today, yes you guessed, his flower paintings. 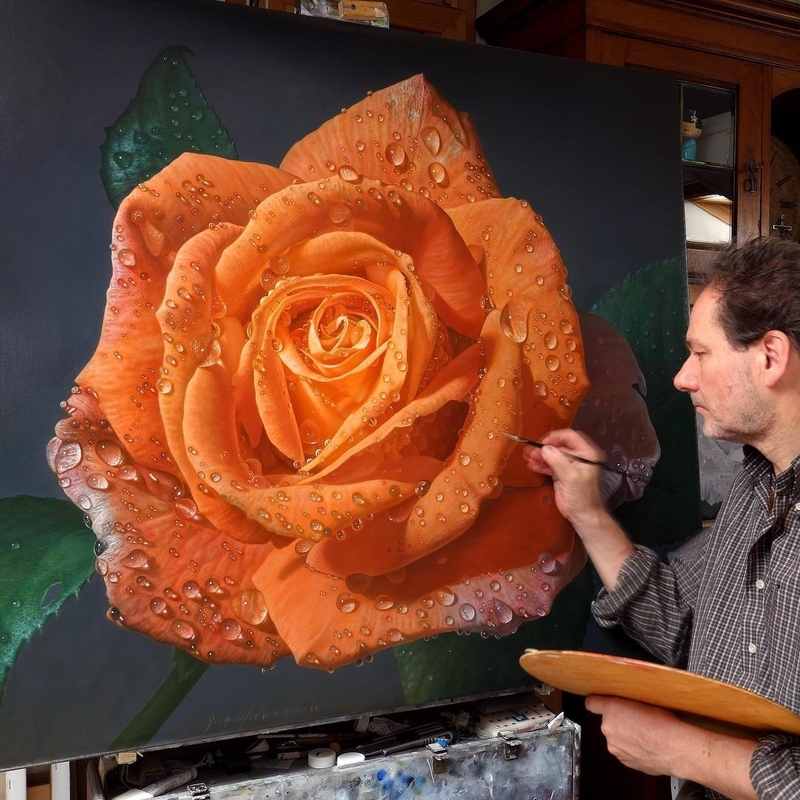 In the pictures below I have included one of his work in progress paintings. 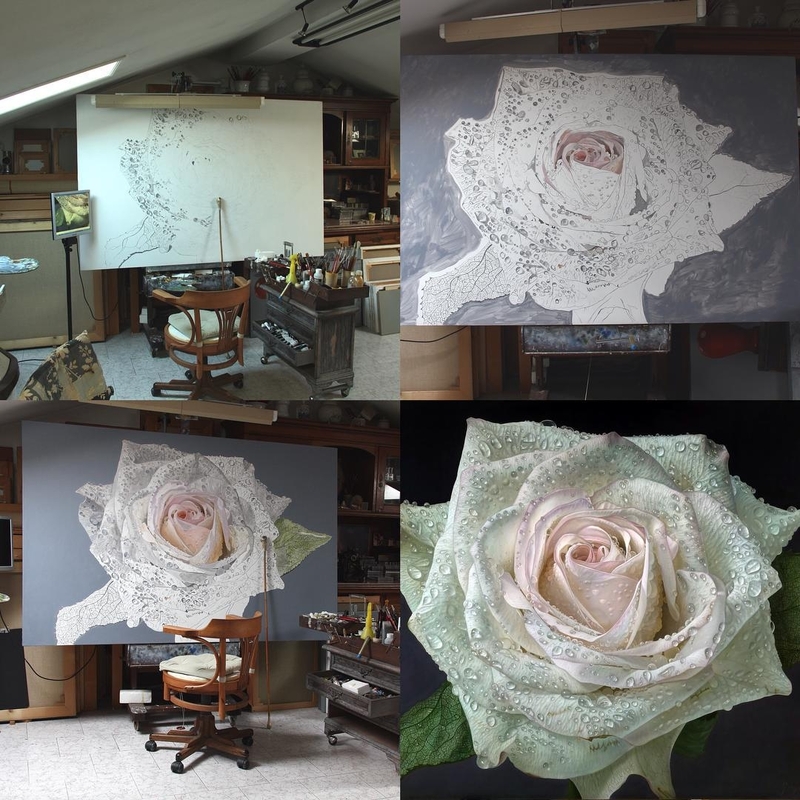 4 paintings at different stage of completion, that give us a small insight into his wonderful process. 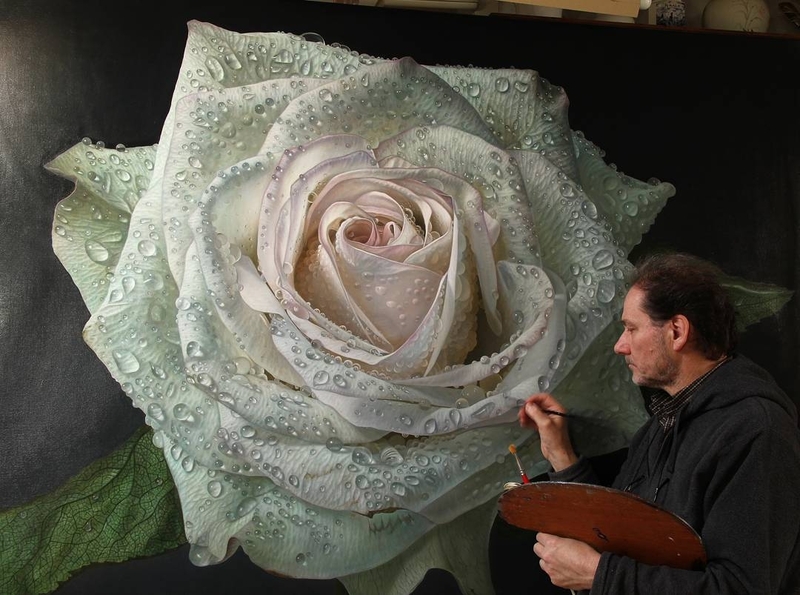 Click the images to enlarge them, to get the best possible view of the intricate details, of these beautiful paintings.